ADLINK Technology, Inc. (TAIEX: 6166), a leading provider of trusted telecom computing products, today announced availability of the aTCA-6150, an AdvancedTCA® (ATCA) processor blade featuring dual nextgeneration 32 nm sixcore Intel® Xeon® processor L5638 with 2.00 GHz corespeed, the Intel® 5520 chipset, up to 48GB of DDR3 memory, and an optional PICMG® Midsize AMC bay for increased computing performance and flexibility. ADLINK announced the availability of an earlytomarket ATCA Blade with dual Intel® Xeon® processor L5518 and AMC bay, the aTCA-6100, in 2009. Following this leading technological achievement, ADLINK debuts the aTCA-6150 as a sixcore performance and power consumption enhancement to its ATCA product line. The Intel® Xeon® processor L5638 on 32 nm process technology with 6core / 12thread capability gives the aTCA-6150 increased processing performance with more efficient power consumption. This latest ATCA offering from ADLINK is ideal for applications requiring high performance and highspeed data transfer which were formerly thermally constrained. 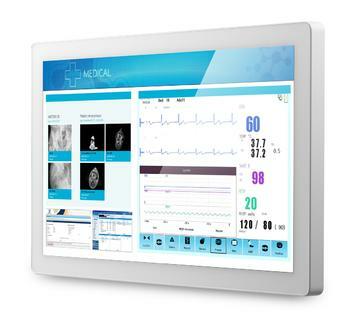 Oncard connectivity includes dual GbE or 10GbE Fabric Interfaces, dual GbE Base Interfaces, dual front panel GbE interfaces, and quad SAS channels which provide leading edge network performance and storage capabilities. High speed datatransfer on the PICMG 3.1 fabric interface is provided by an Intel® 82599EB 10 Gigabit Ethernet controller with PCI-Express® v2.0, and base interface connectivity is delivered through the Intel® 82576EB Gigabit Ethernet controller, also supporting PCI-Express 2.0. The aTCA-6150 is ideal for carriergrade applications such as media servers in IPTV, IP multimedia subsystem (IMS) broadband networks, and wireless infrastructures, providing telecom equipment manufacturers (TEMs) and network equipment providers (NEPs) with a powerful, costeffective solution for mission critical applications and a smooth path for scalability and expansion. The aTCA-6150 implements two Intel® Xeon® processor L5638 (6core) or two Intel® Xeon® processor L5618 (4core) with integrated memory controllers supporting six sockets for DDR3-1066 VLP RDIMM memory up to a maximum of 48GB. 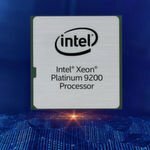 Also supporting Intel® Hyper-Threading Technology and Intel® Turbo Boost Technology, the Intel® Xeon® processor 5600 series increases the performance of both multithreaded and singlethreaded workloads, as well as improving energy efficiency. The Intel® Xeon® processor 5600 series features Intel® Trusted Execution Technology (TXT) for safer computing and hardware/firmware security with a higher level of trust and control over computer systems. Also featured are the Intel® AES New Instructions (Intel® AES-NI) that accelerate data encryption and decryption. These advanced practical security features are especially suited to datacom and telecom applications. ADLINK's new aTCA-6150 offers versatile storage support with 4channel SAS RAID 0/1, 4GB onboard NAND flash, onboard 2.5" SATA HDD, and modular Fabric riser card for additional PICMG Fabric Interface protocols. The optional midsize AMC bay supports AMC.1 PCI-Express, AMC.2 Gigabit Ethernet and AMC.3 SATA/SAS storage expansion. I/O features of the aTCA-6150 include Base Interface channels, Fabric Interface channels, 4 front/rear egress ports and update channels. Front panel I/O includes two RJ-45 GbE ports, three USB 2.0 ports, RJ-45 to DB-9 standard serial port and DB-15 connector for analog graphics. Combining high computing performance, high memory capacity and high speed I/O interface integration, the ADLINK's aTCA-6150 is specifically designed for highend telecom applications. ADLINK Technology provides a wide range of embedded computing products and services to the test & measurement, automation & process control, gaming, communications, medical, network security, and transportation industries. 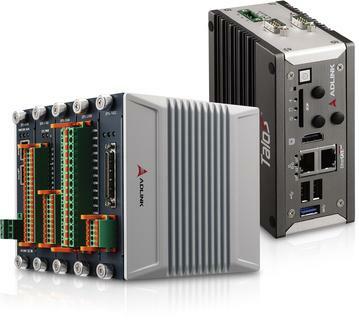 ADLINK products include PCI Express®based data acquisition and I/O; vision and motion control; and AdvancedTCA, CompactPCI, and Computeron-Modules (COMs) for industrial computing. 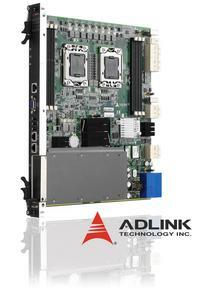 With the acquisition of Ampro Computers, Inc., ADLINK also provides a wide range of Extreme Rugged and Rugged Single Board Computers, Computeron-Modules and Systems under the brand name Ampro by ADLINK. ADLINK strives to minimize the total cost of ownership (TCO) of its customers by providing customization and system integration services, maintaining low manufacturing costs, and extending the lifecycle of its products. ADLINK is a global company with headquarters and manufacturing in Taiwan; R&D and integration in Taiwan, China, and the US; and an extensive network of worldwide sales and support offices. 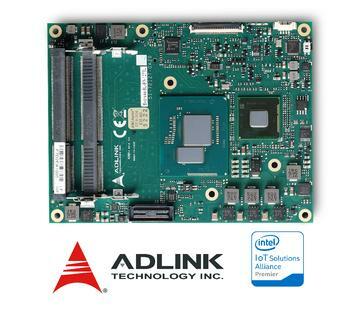 ADLINK is ISO-9001, ISO-14001, and TL9000 certified, is an Associate Member of the Intel® Embedded Alliance, an Executive Member of PICMG, and a Sponsor Member of the PXI Systems Alliance. ADLINK is a publicly traded company listed on the TAIEX Taiwan Stock Exchange (stock code: 6166).